It’s RVIA trade show time! 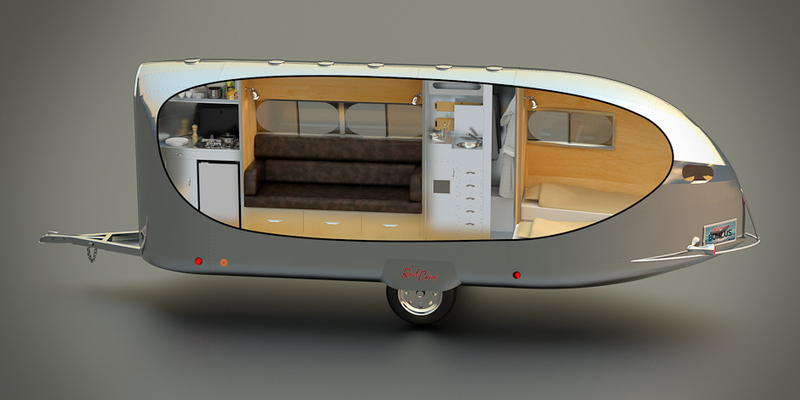 The Bowlus Road Chief. 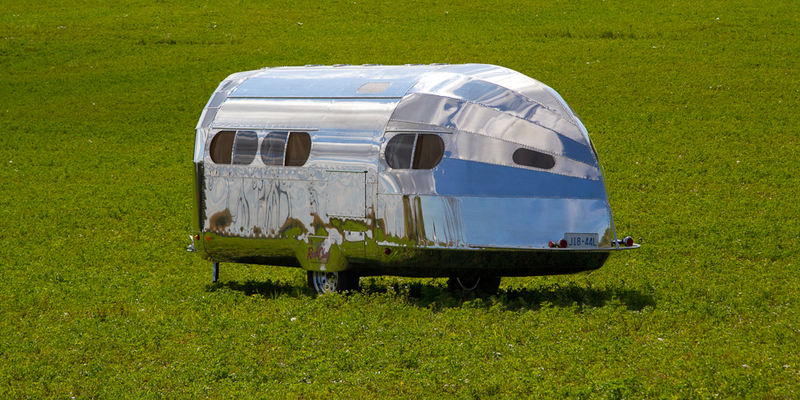 In the history of travel trailers, the Road Chief might possibly be one of the most iconic trailers ever built. Built by Charles Lindbergh’s “Spirit of St. Louis” Superintendent of Construction, Hawley Bowlus, the Road Chief had much of the same construction methods of airplanes of the early part of the 20th century when it first debuted in 1934. 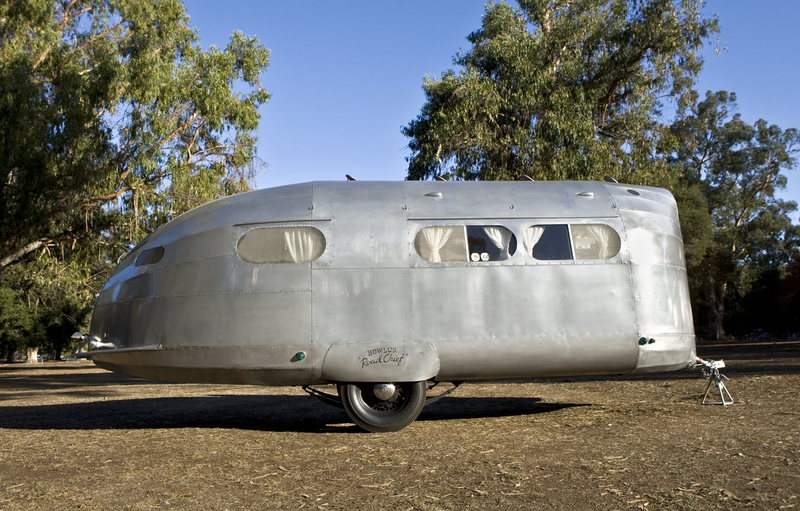 However, it took Wally Byam to take control of Bowlus’ struggling company, and in 1936 rename the Road Chief the Airstream Clipper, which ultimately put Byam’s Airstream on the map for generations to come. Now in 2013, a new version of the Road Chief is back in production. Owner and designer John Long started building the Road Chief in 2013 after a 10 year restoration of his own 1935 Road Chief. The new Road Chief looks as vintage as it gets on the outside, but the interior is anything but that. Creature comforts on the inside include a private “stateroom” in the rear of the trailer that features a king bed that converts to two twin beds, a full size 6 foot sofa with storage drawers underneath, birch interior, 120 watt portable solar panel, separate dinette, 3′ X 5′ bathroom with shower & cassette toilet, 2-burner stove, 3 cubic foot refrigerator, microwave, and as they say “much, much more”. However, the exterior is as close to the original version as it could get. Like the original Road Chiefs, the 2013 version also boasts aircraft grade aluminum that is riveted and bonded. And of course it wouldn’t be a Road Chief if it didn’t have its distinctive front entry door (with screen door) on the front of the trailer. The 2013 Road Chief checks in at 2800 lbs and just over 23′ long. 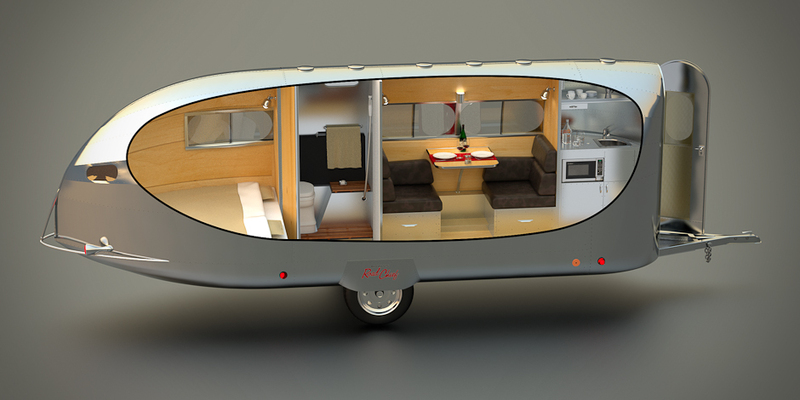 However, the hitch and bumper are removable, which makes it possible to store one in a 20′ garage, although the 7’10” height would require a minimum 8′ door. 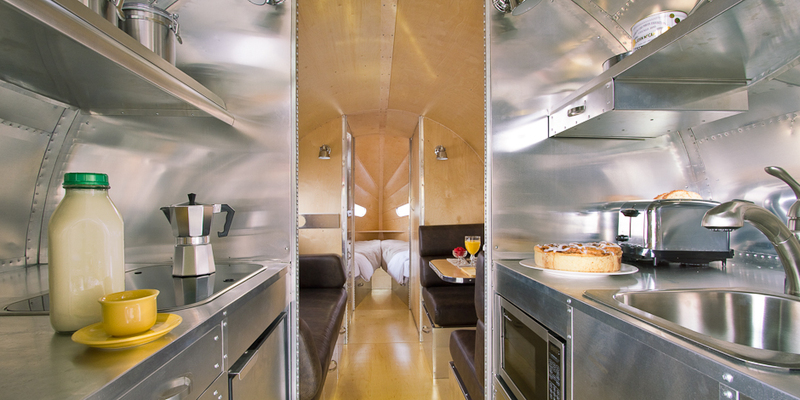 The 6’4″ interior head room also makes it comfortable for most. Built in Ventura County, California, the Road Chief isn’t for every pocketbook. There is no dealer network and the $1500 reserve is just a fraction of the $100,000 price tag. 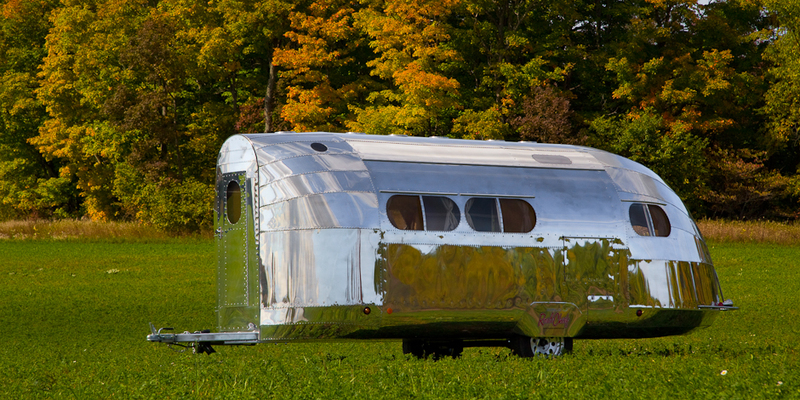 However, for those with the means, the Bowlus Road Chief is a trailer that will garner the attention of everyone at the campground, and one that will send you back in time.